Some time after leaving the Garden of Eden, Adam and Eve set up what is called “CUSTOM OF WORSHIP”. This was highly honoured by YAH and even became the basis on which YAHUSHUA would suffer on behalf of mankind. Fourth Day (which is now referred to as Wednesday). Sixth Day (which is now referred to as Friday) – also called the PREPARATION DAY as it precedes the SABBATH which YAH created as per Genesis 2. 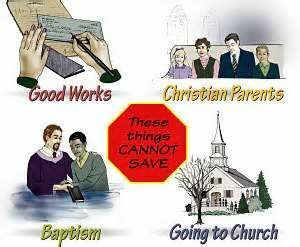 Seventh Day (which is now referred to as Saturday) – also called the SABBATH DAY! It was determined by YAH/ELOHIM (a.k.a GOD) that before it had been decided and/or decreed, Adam through creating a “Custom Of Worship in his days on earth threreby declared exactly when YAH’S Covenant with man would be fulfilled years later (after 5,500 years). 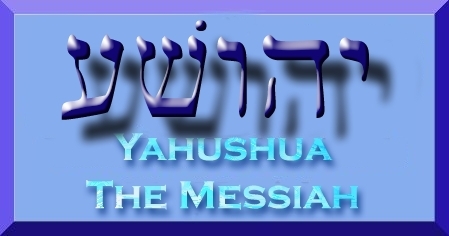 As prophesied by YAHUSHUA HA MASHIACH, THE WORD OF YAH, this is exactly what happened! 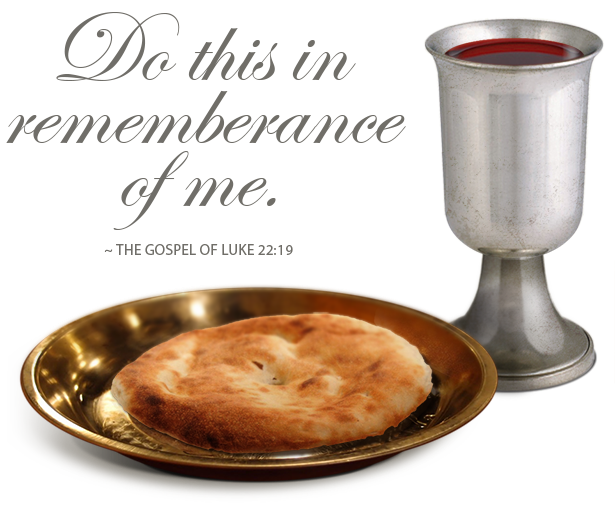 On 14th Nisan (was a Wednesday then), YAHUSHUA HA MASHIACH was crucified on the First Day of the Feast/Festival of UNLEAVENED BREAD (a time to remove leaven which is particularly the sin of pride) from our lives. 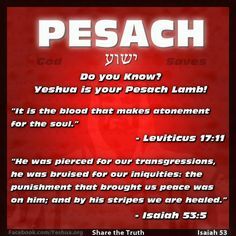 The day is also called PESACH/PASSOVER 1. He died three hours later on that very day and then buried by a man called Joseph (whom, by the way went into hiding after the burial) in time for the PESACH SEDER time. YAHUSHUA HA MASHIACH stayed in the grave from Wednesday 14th Nisan evening to Saturday 17th Nisan evening. 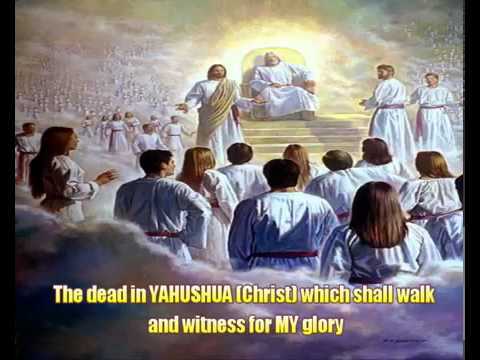 YAHUSHUA HA MASHIACH rose from the dead or resurrected on the Feast/Festival of First Fruits which was 3 days later. 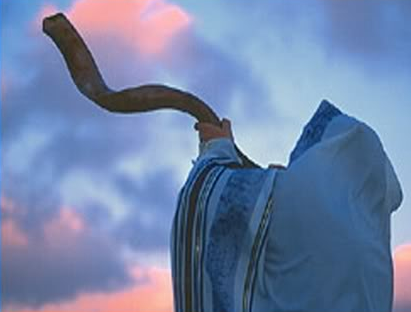 On the First Day of the week (which is referred to as Sunday today) was the day on which YAHUSHUA HA MASHIACH began to appear to HIS disciples and others. It was also the day on which many righteous dead resurrected including the Patriarchs of old, such as Adam, Methuselah, Noah, Abraham, Isaac, Jacob, Jacob’s 12 sons, etc…. The patriarchs’ spirits went to the Heavens (a.k.a Shammayim) where they are today waiting for the Day on which YAHUSHUA HA MASHIACH calls them forth to join in at the Wedding/Marriage Supper of the Lamb. 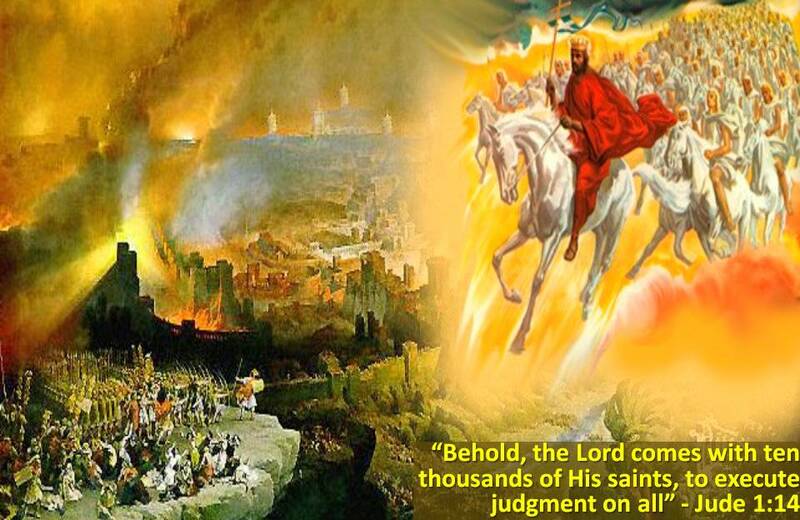 It has been revealed by YAH/ELOHIM (a.k.a GOD) through HIS Amightwind Ministry that YAHUSHUA HA MASHIACH will return on a Shabbat/Sabbath to catch away HIS beloved Bride and Guests who have made themselves ready for HIM to the Heavens so as to escape YAH’S Judgement, that is to say, the Great Tribulation. 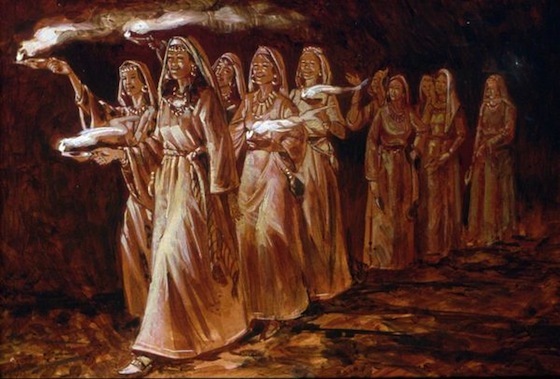 We know not which one however YAH will reveal it to HIS ELIYAHU (a.k.a ELIJAH) of New shortly before YAHUSHUA comes after which she will usher YAHUSHUA in by calling forth HIS BRIDE in the spiritual realm from all four corners of the earth to get their lamps and oil ready to meet their BRIDEGROOM, just like in the picture drawn hy YAHUSHUA in Matthew 25:1-14! 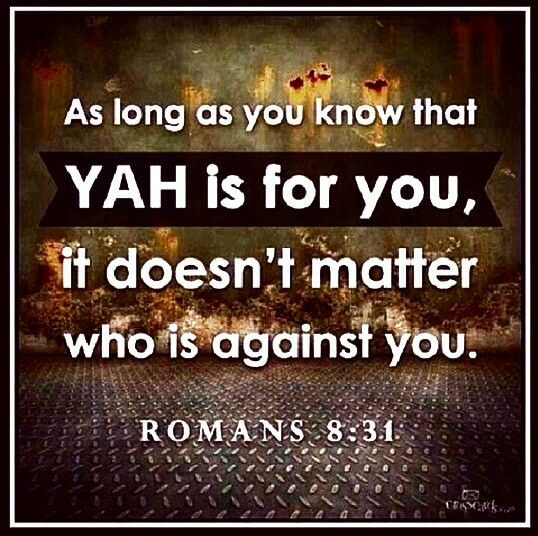 YAHUSHUA HA MASHIACH was the FIRST FRUIT of death as HE conquered Satan, Sin and Death! HE arose on the Festival of First Fruits. Just as YAHUSHUA HA MASHIACH was and still is YAH’S very First Fruit, so will HIS Beloved Bride of Revelation 14 be from among the peoples of the earth. Those who have already passed on/died will also be called forth to join YAHUSHUA HA MASHIACH at HIS future Wedding/Marriage Feast/Supper. First Book of Adam and Eve CHAP. LXVIII. How destruction and trouble is of Satan when he is the master. Adam and Eve establish the custom of worship. THEN God looked upon Adam and Eve, and upon what had come upon them from Satan, and how he had made them perish. 2 God, therefore, sent His Word, and raised up Adam and Eve from their state of death. 4 Then God said to Adam, “I did not burn down the wheat, and I did not pour the water out of the bucket, and I did not send My angels to lead thee astray. 5 “But it is Satan, thy master who did it; he to whom thou hast subjected thyself; My commandment being meanwhile set aside. He it is, who burnt down the corn, and poured out the water, and who has led thee astray; and all the promises he has made you, verily are but feint, and deceit, and a lie. 7 And God told His angels to take Adam and Eve, and to bear them up to the field of wheat, which they found as before, with the bucket full of water. 8 There they saw a tree, and found on it solid manna; and wondered at God’s power. And the angels commanded them to eat of the manna when they were hungry. 9 And God adjured Satan with a curse, not to come again, and destroy the field of corn. 10 Then Adam and Eve took of the corn, and made of it an offering, and took it and offered it up on the mountain, the place where they had offered up their first offering of blood. 13 And God sent a bright fire upon the offering of Adam and Eve, and filled it with brightness, grace, and light; and the Holy Ghost came down upon that oblation. angel to take fire-tongs, like a spoon, and with it to take an offering and bring it to Adam and Eve. 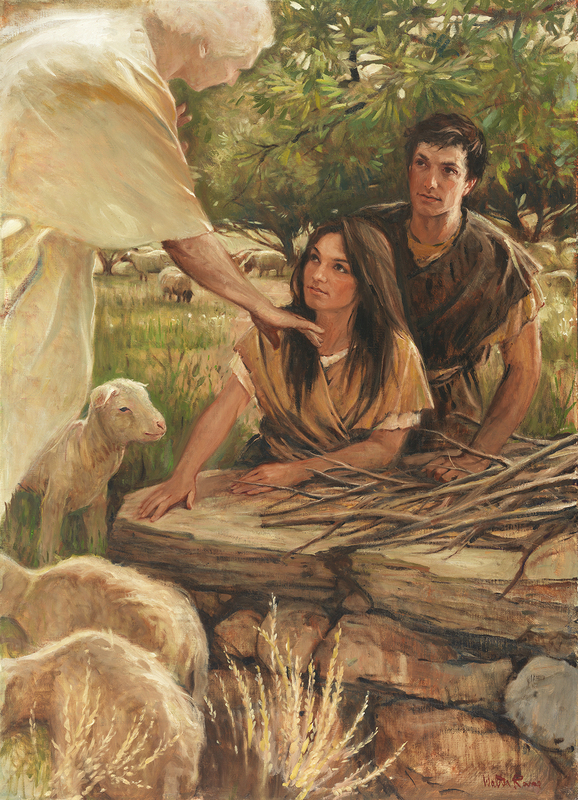 And the angel did so, as God had commanded him, and offered it to them. 15 And the souls of Adam and Eve were brightened, and their hearts were filled with joy and gladness and with the praises of God. 17 Adam rejoiced at these words which he heard from God; and he and Eve worshipped before the altar, to which they bowed, and then went back to the Cave of Treasures. 18 And this took place at the end of the twelfth day after the eightieth day, from the time Adam and Eve came out of the garden. 19 And they stood up the whole night praying until morning; and then went out of the cave. 21 And as they agreed to these words between themselves, God was pleased with their thoughts, and with the resolution they had each taken with the other. 22 After this, came the Word of God to Adam, and said, “O Adam, thou hast determined beforehand the days in which sufferings shall come upon Me, when I am made flesh; for they are the fourth Wednesday, and the preparation day Friday. 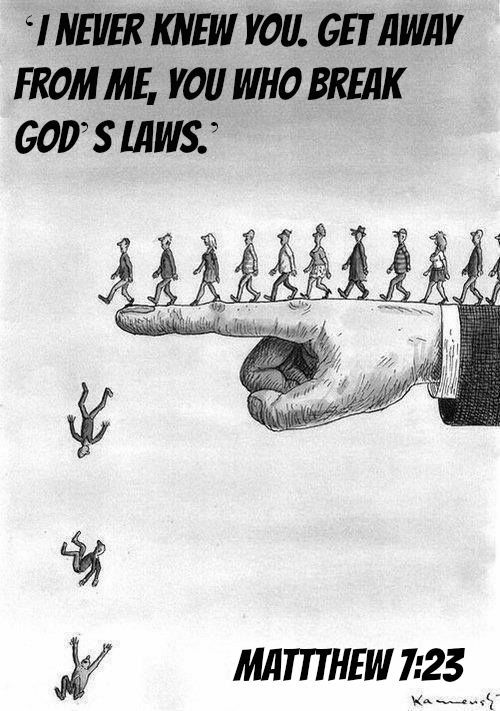 24 Then God withdrew His Word from Adam. 25 But Adam continued to offer this oblation thus, every week three times, until, the end of seven weeks. And on the first day, which is the fiftieth, Adam made an offering as he was wont, and he and Eve took it and came to the altar before God, as He had taught them. Forty-three days of penance do not redeem one hour of sin (v. 6). 1 Then Adam said to Eve, “Do you not see these figs and their leaves, with which we covered ourselves when we were stripped of our bright nature? But now, we do not know what misery and suffering may come over us from eating them. 3 Thus did Adam and Eve restrain themselves, and did not eat of these figs. 4 But Adam began to pray to God and to beseech Him to give him of the fruit of the Tree of Life, saying thus: “O God, when we transgressed Your commandment at the sixth hour of Friday, we were stripped of the bright nature we had, and did not continue in the garden after our transgression, more than three hours. 5 But in the evening You made us come out of it. O God, we transgressed against You one hour, and all these trials and sorrows have come over us until this day. 6 And those days together with this the forty-third day, do not redeem that one hour in which we transgressed! 7 O God, look at us with an eye of pity, and do not avenge us according to our transgression of Your commandment, in Your presence. 8 O God, give us of the fruit of the Tree of Life, that we may eat of it, and live, and turn not to see sufferings and other trouble, in this earth; for You are God. 9 When we transgressed Your commandment, You made us come out of the garden, and sent a cherub to keep the Tree of Life, lest we should eat thereof, and live; and know nothing of faintness after we transgressed. Chapter XLIX – The first prophecy of the Resurrection. 4 Then the Lord God said to Adam, “O Adam, you dread the heat of fire for one night, but how will it be when you live in hell? 5 Yet, O Adam, don’t be afraid, and don’t believe that I have placed this dome of rock over you to plague you with it. 6 It came from Satan, who had promised you the Godhead and majesty. It is he who threw down this rock to kill you under it, and Eve with you, and thus to prevent you from living on the earth. 7 But, in mercy for you, just as that rock was falling down on you, I commanded it to form an dome over you; and the rock under you to lower itself. 8 And this sign, O Adam, will happen to Me at My coming on earth: Satan will raise the people of the Jews to put Me to death; and they will lay Me in a rock, and seal a large stone over Me, and I shall remain within that rock three days and three nights. 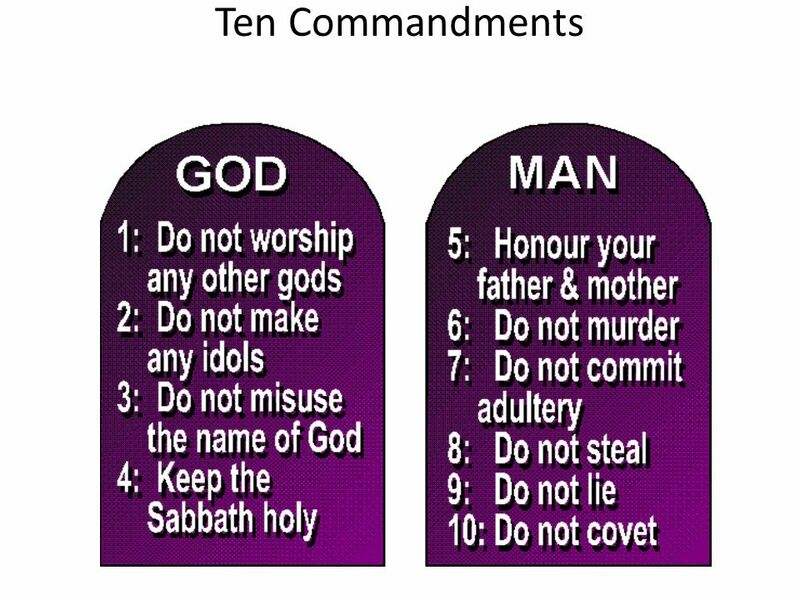 10 And God withdrew His Word from Adam. 11 But Adam and Eve lived under the rock three days and three nights, as God had told them. 12 And God did so to them because they had left their cave and had come to this same place without God’s order. 13 But, after three days and three nights, God created an opening in the dome of rock and allowed them to get out from under it. Their flesh was dried up, and their eyes and hearts were troubled from crying and sorrow. First Book of Adam and Eve CHAP. XXIV. A vivid prophecy of the life and death of Christ. TEN the merciful God, good ‘and lover of men, looked upon Adam and Eve, and upon their blood, which they had held up as an offering unto Him; without an order from Him for so doing. But He wondered at them; and accepted their offerings. 2 And God sent from His presence a bright fire, that consumed their offering. 3 He smelt the sweet savour of their offering, and showed them mercy. 4 Then came the Word of God to Adam, and said unto him, “O Adam, as thou hast shed thy blood, so will I shed My own blood when I become flesh of thy seed; and as thou didst die, O Adam, so also will I die. And as thou didst build an altar, so also will I make for thee an altar on the earth; and as thou didst offer thy blood upon it, so also will I offer My blood upon an altar on the earth. 5 “And as thou didst sue for forgiveness through that blood, so also will I make My blood forgiveness of sins, and blot out transgressions in it. 6 “And now, behold, I have accepted thy offering, O Adam, but the days of the covenant, wherein I have bound thee, are not fulfilled. When they are fulfilled, then will I bring thee back into the garden.